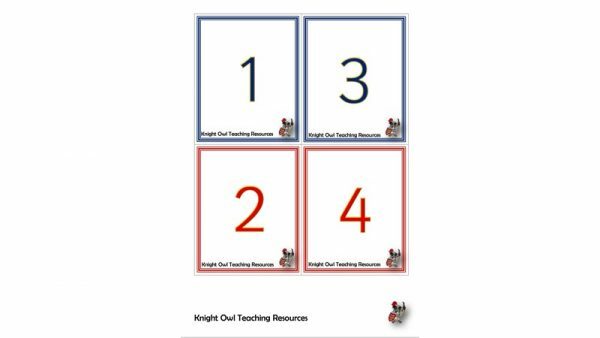 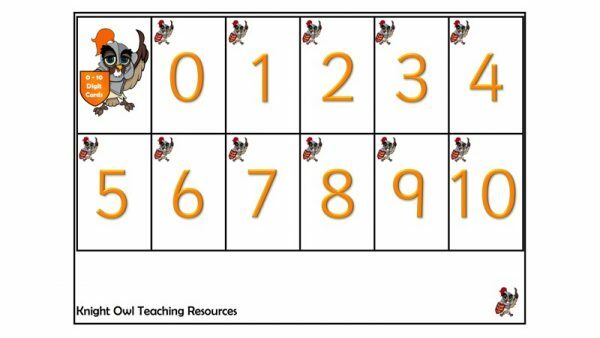 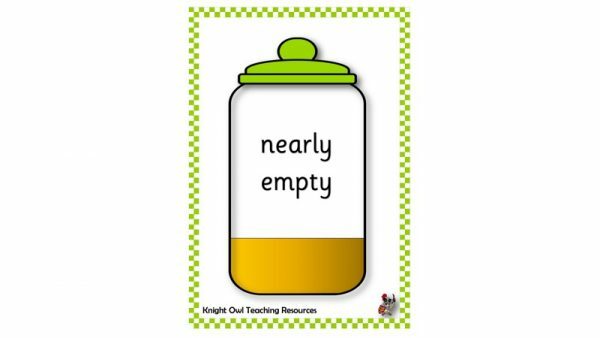 Small 0-100 digit cards for use with individual, small and large group activities. 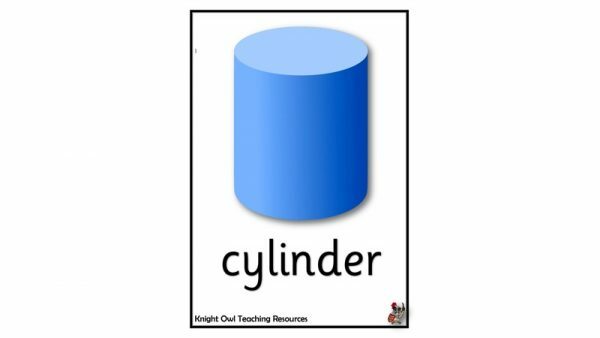 A colourful set of six 3D shapes for display in the classroom. 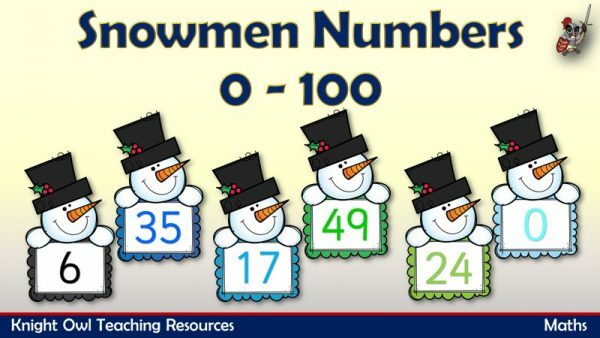 Recognising numbers from 0-100 displayed on snowmen. 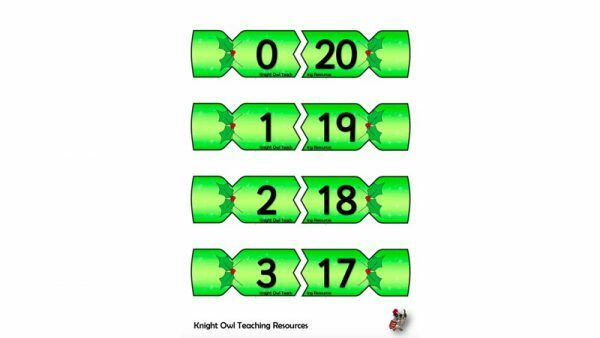 Match the two halves of the crackers to make number bonds for 20. 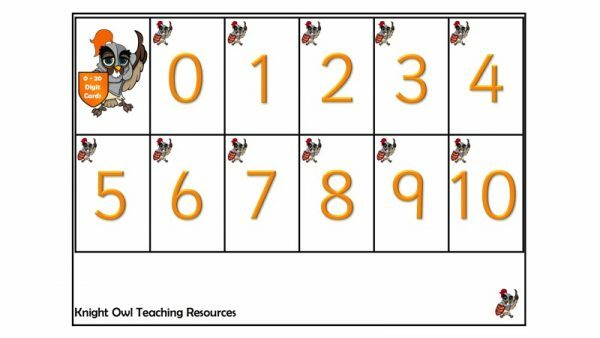 Match the two halves of the crackers to make number bonds for 10. 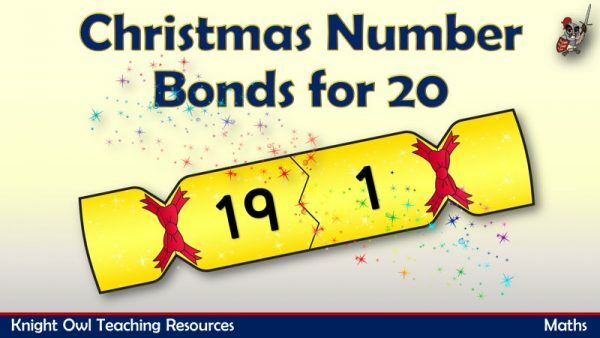 Festive fun to consolidate number bonds for twenty. 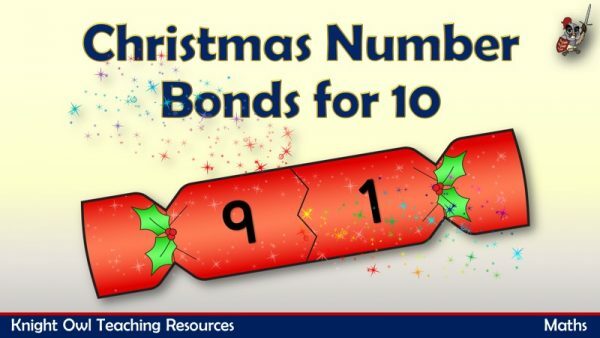 Festive fun to consolidate number bonds for ten. 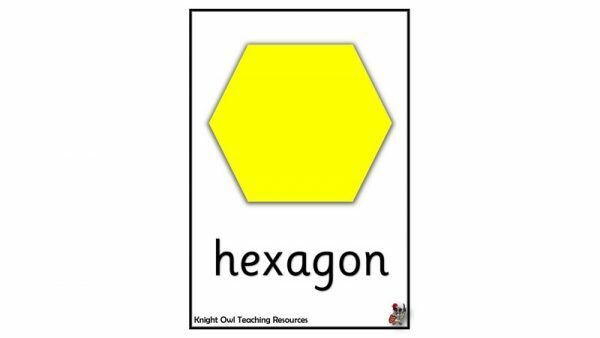 A colourful set of eight 2D shapes for display in the classroom. 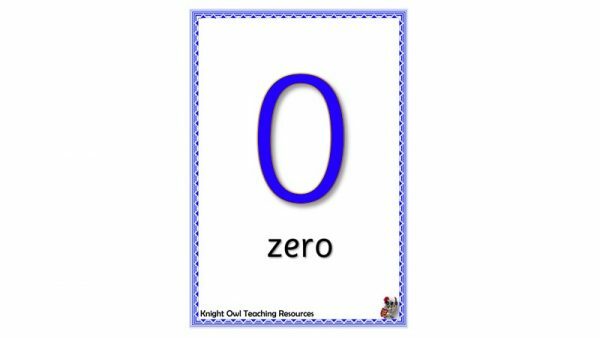 0 – 20 digit cards in five colours for use in number recognition, ordering etc. 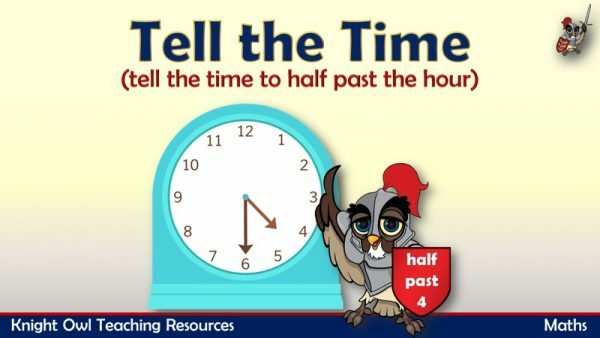 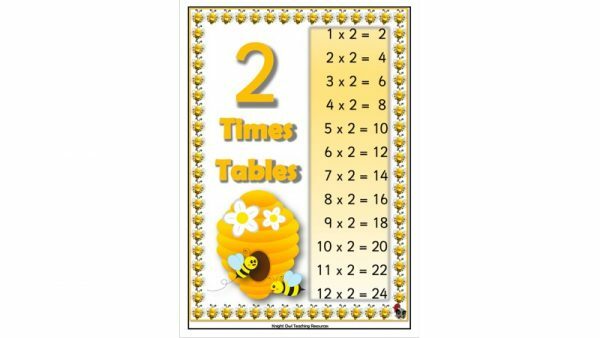 A ‘bee themed’ set of time tables to 12 PDFs for display in the classroom. 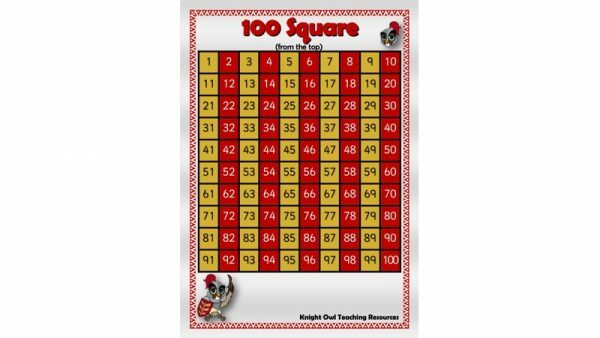 Four different PDF versions of number squares (1 to 100 and 0 -99) to aid children. 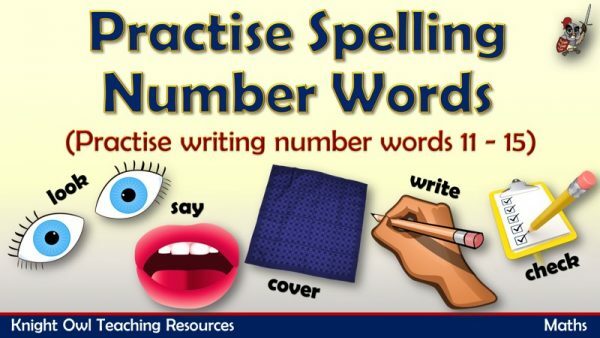 A fun powerpoint for practising writing the numbers words for 11 – 15. 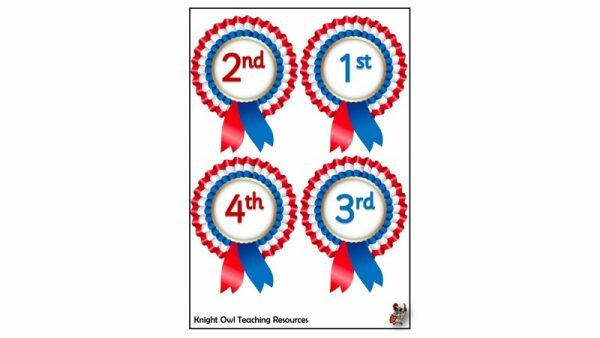 A fun powerpoint for practising writing the numbers words for 0 – 5. 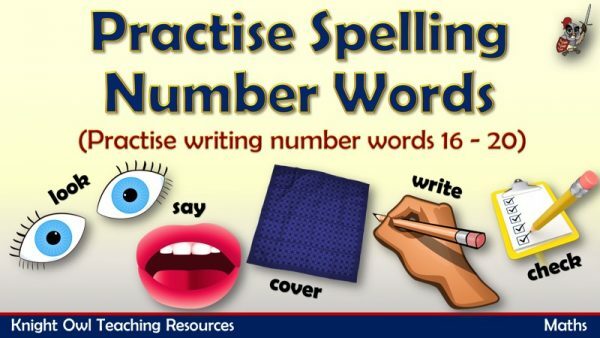 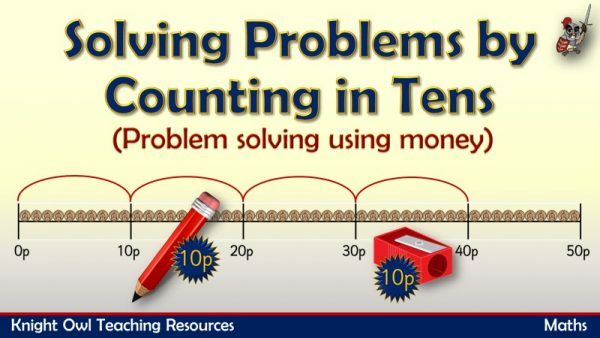 A fun powerpoint for practising writing the numbers words for 16 – 20. 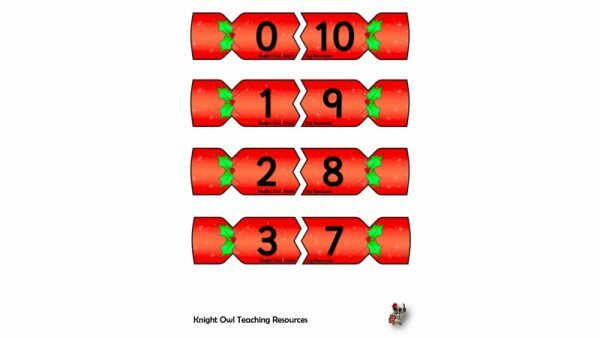 Work out how much Knight Owl will spend on his shopping. 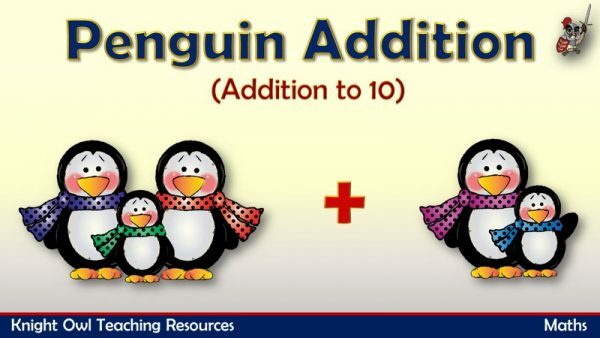 Addition to ten using pictorial representation with penguins. 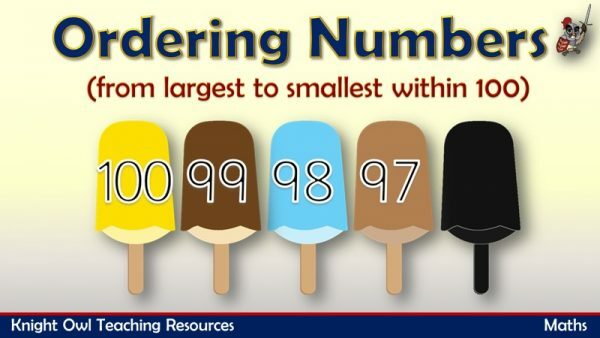 Arranging numbers from largest to the smallest within 100 (displayed on ice lollies). 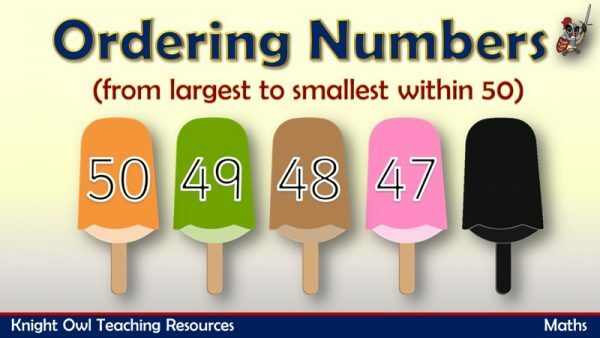 Arranging numbers from largest to the smallest within 50 (displayed on ice lollies). 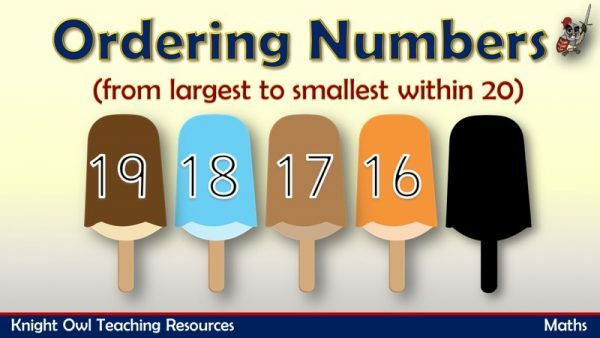 Arranging numbers from largest to the smallest within 20 (displayed on ice lollies). 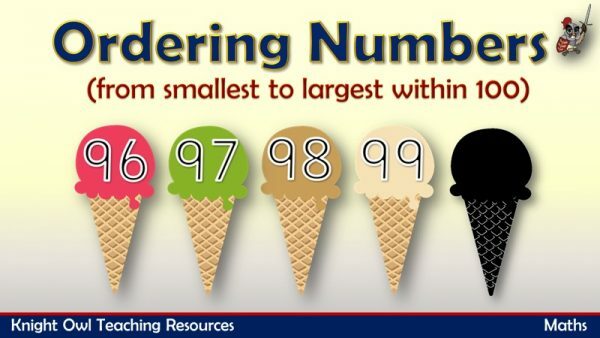 Arranging numbers from the smallest to the largest within 100 (displayed on ice creams). 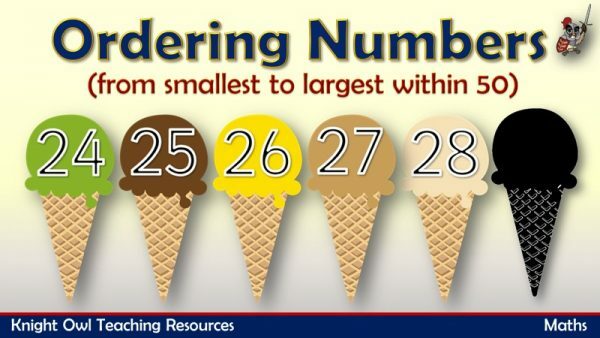 Arranging numbers from the smallest to the largest within 50 (displayed on ice creams). 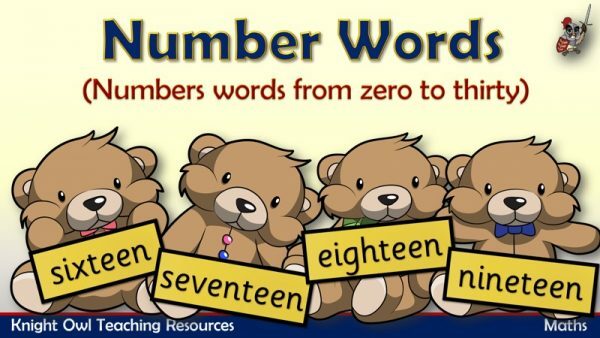 Read the number words from 0 to 30 that the teddy bears are holding. 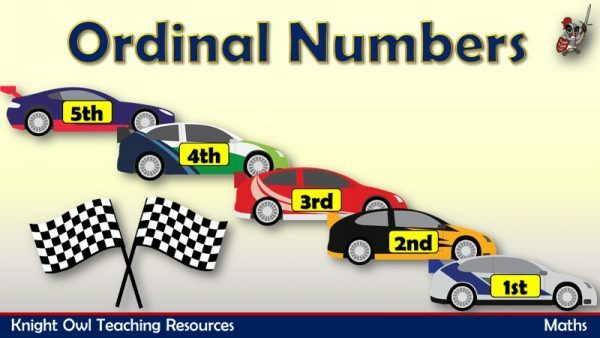 Introducing the concept of ordinal numbers displayed on racing cars. 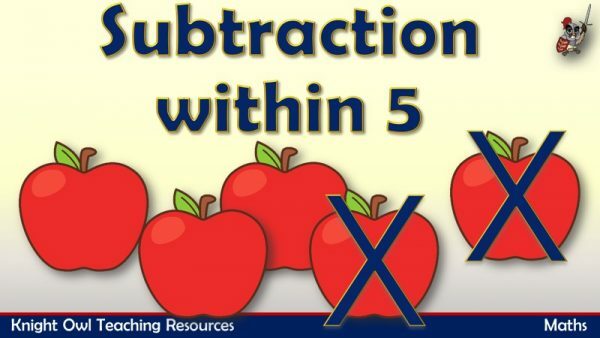 Subtraction within 5 using pictorial representations as aids.